As a business in Columbia and a member of the Howard County Chamber of Commerce, AMPs takes every opportunity to get to know other local businesses. 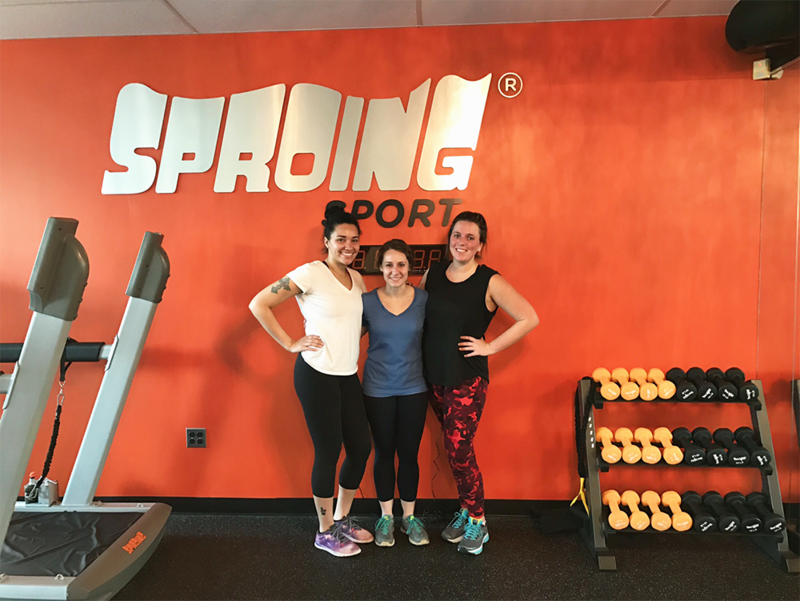 When our project manager Ariana won a two-week free trial at SynergyFX in a raffle, she brought Caitlin and Stephanie along to try out what the woman-focused gym had to offer. 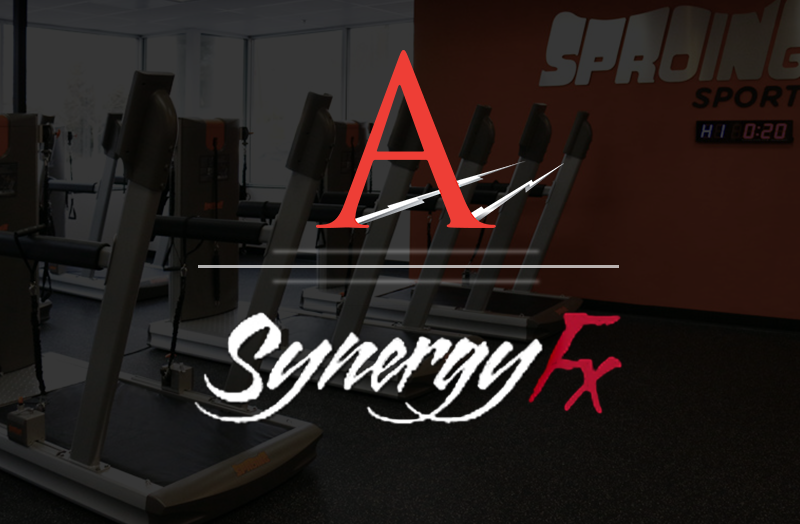 What makes SynergyFX stand out in the crowd is one word: Sproing. Sproing is a high intensity group workout with low impact. 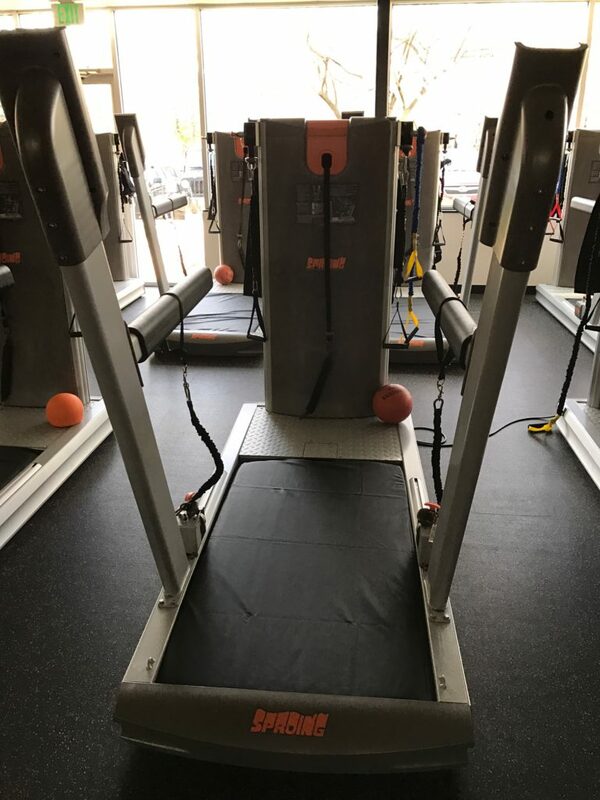 You are harnessed to the back of the machine, then instructed to do a series of intervals on the soft surface. When we say high intensity, we mean HIGH intensity. After checking in with the staff (who was super helpful) and putting on our heart monitors (these track your progress during the workout), we were pumped up and ready to go. About ten minutes in we were all starting to feel the workout really working. One AMPs employee after another had to sit out due to exhaustion. (Pro tip: eat complex carbs 20 minutes before Sproing to keep up your blood sugar and avoid feeling lightheaded). In the end, only one AMPs employee completed the workout. Can you guess who?